As the years march by, our kids are not the only ones growing—so is our food budget. All four of our kids love to eat. Keeping a pantry well-stocked is nearly impossible, especially with two teenagers! The Bible has a lot to say about eating—not just eating to satisfy physical hunger, but our spiritual hunger as well. We are hungry and thirsty. And yet the Bible reminds us that all of this language of eating and drinking is really about our deeper need. Our deepest longings. Our souls’ thirst and hunger for God. We will never be truly satisfied until we come to know and treasure Jesus, the true Bread of life (John 6:35). Our kids do not come into the world knowing what to do with their hunger and thirst. They need us to lead them, teach them, protect them, and help them know Jesus. Just like us, they will try to fill their hunger with relationships, stuff, entertainment, accomplishments, and countless distractions. Patiently and persistently, we must keep bringing them back to God’s Word and His unconditional love, abounding grace, and faithful promises. We are not just raising kids; we are shaping their souls. And just as we would never send them into the world without physical nourishment, we can’t send them into the world starved of spiritual nourishment either. Let’s remember to feed our kids. Read God’s Word with them. Help them memorize His truth. Remind them of His love. Bury His promises in their hearts. Feed their stomachs, but most importantly, nourish their souls. Father, I believe Your Word satisfies those who hunger and thirst for righteousness. Continue to create in me a hunger to know You and love You. Give me wisdom and strength to nourish my kids’ souls. Help me not to grow weary, become complacent, or stop being alert. Remind me to diligently feed and nourish my children’s hearts with Your truth. In Jesus’ name, amen. 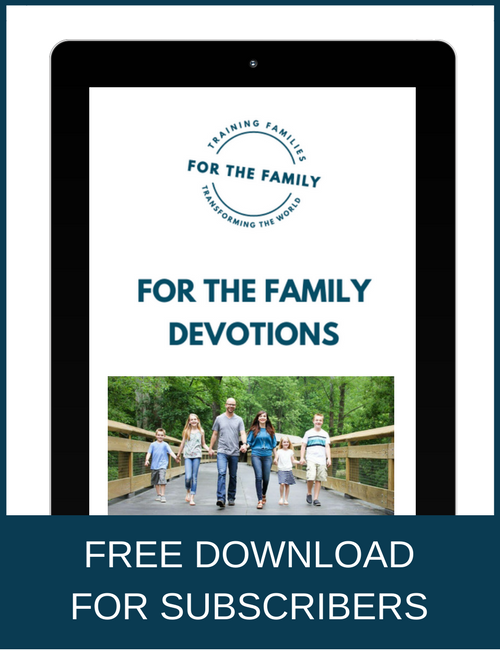 How can you protect your kids with God’s Word? What is one way you can begin nourishing your child’s soul today with God’s Word? We’d love to hear! 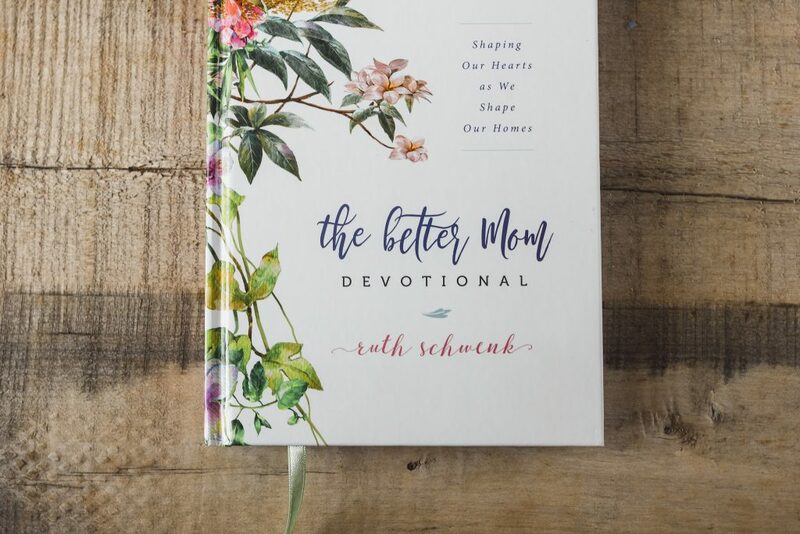 Excerpted with permission from The Better Mom Devotional by Ruth Schwenk, copyright Ruth Schwenk. 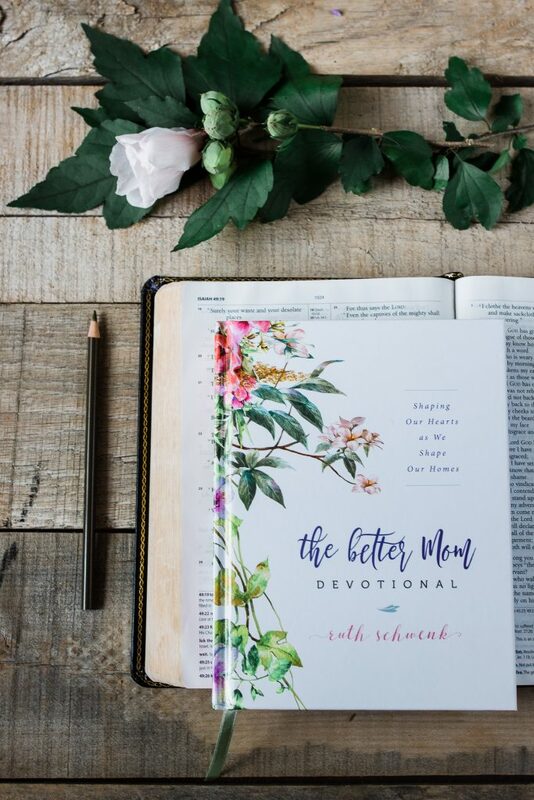 Preorder your devotional now to receive beautiful bonuses including a pair of earrings from Mercy House Global for the first 300! —> Click HERE for bonuses. Ruth is the wife of a pastor, who is her best friend and the love of her life. She is a blessed homeschooling mother to her four beautiful children, and she eagerly awaits meeting her five others in heaven. Ruth is a graduate of Moody Bible Institute in Chicago. 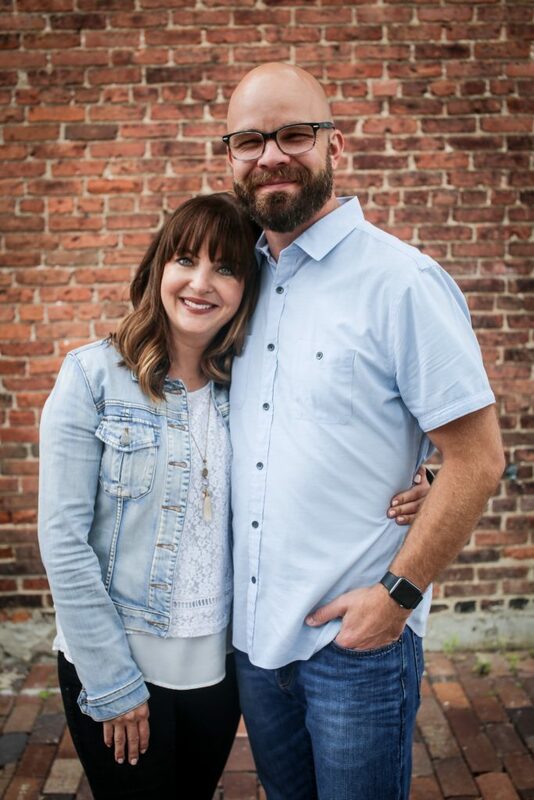 She has a passion for following God, leading worship, rescuing orphans, and inspiring others to create a God honoring family. She thoroughly enjoys warm spring breezes, blooming lilacs, tall skim mochas with whipped cream, root-lifter, eye cream, gel polish, laughing (lots of it), venti iced teas, exclamation points! !, family worship time, and snuggling up to read a good book with her family. 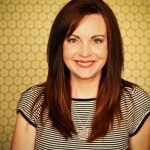 Ruth is a speaker, writer, and creator of The Better Mom. She can also be found at For the Family, a site just recently launched by her and her husband, Patrick.